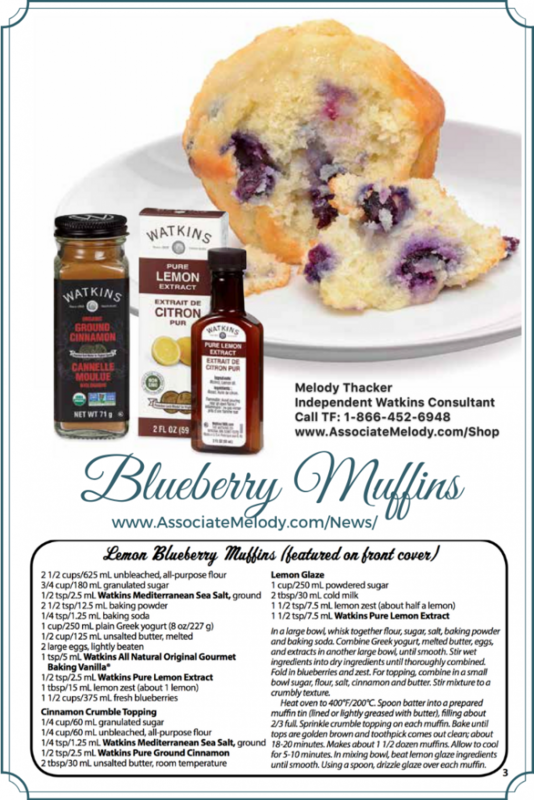 Blueberry muffins are one of the most popular muffins so when I saw this lemon blueberry muffin recipe in our new Watkins catalog I was excited to try it. Lemon and blueberries make a delightful flavour combination. 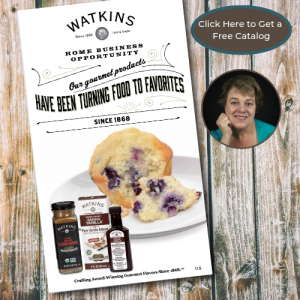 You’ll find a printable version of the recipe at the bottom of the page. 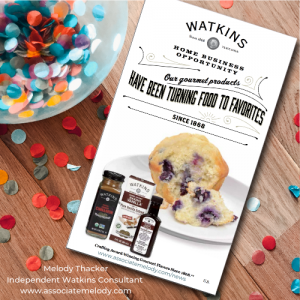 If you’d like your own copy of our new Watkins products catalog simply click the button below and complete the request form. Directions: In a large bowl, whisk together flour, sugar, salt, baking powder and baking soda. Combine Greek yogurt, melted butter, eggs, and extracts in another large bowl, until smooth. Stir wet ingredients into dry ingredients until thoroughly combined. Fold in blueberries and zest. Heat oven to 400°F/200°C. Spoon batter into a prepared muffin tin (lined or lightly greased with butter), filling about 2/3 full. Sprinkle crumble topping on each muffin. Bake until tops are golden brown and a toothpick comes out clean; about 18-20 minutes. Makes about 1 1/2 dozen muffins. Allow to cool for 5-10 minutes. Then drizzle with lemon glaze and enjoy! Directions for cinnamon crumble topping: For topping, combine in a small bowl sugar, flour, salt, cinnamon, and butter. Stir mixture to a crumbly texture. Directions for lemon glaze: In a mixing bowl, beat lemon glaze ingredients until smooth. 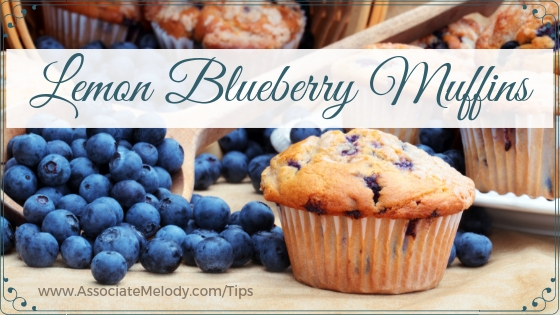 Using a spoon, drizzle the glaze over top of each muffin. In a large bowl, whisk together flour, sugar, salt, baking powder and baking soda. Combine Greek yogurt, melted butter, eggs, and extracts in another large bowl, until smooth. Fold in blueberries and zest. For topping, combine in a small bowl sugar, flour, salt, cinnamon and butter. 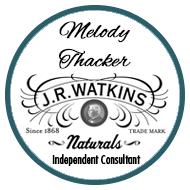 Stir mixture to a crumbly texture. Spoon batter into a prepared muffin tin (lined or lightly greased with butter), filling about 2/3 full. Sprinkle crumble topping on each muffin. Bake until tops are golden brown and toothpick comes out clean; about 18-20 minutes. In mixing bowl, beat lemon glaze ingredients until smooth. Using a spoon, drizzle glaze over each muffin.